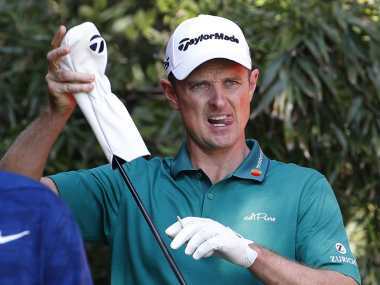 Antalya: By Sunday night, Justin Rose may have turned a couple of goals more into reality and make 2018 as his best-ever year. That, despite the fact he won his first, and so far the only, Major in 2013 and the Olympic gold medal in 2016. Yet, this has been the year when he reached the pinnacle and become World No 1; and if he wins the ongoing Turkish Airlines Open, it would also be the first successful defence of a title in his career. He is coming off a sequence of 23 Top-10s in his last 30 starts and it will only become better. Regardless of whether he wins or not on Sunday; whether or not he reaches World No 1 again this week, Rose is right now in the best period of his career. And it looks likely to get better. However, it was not always like that. Rose, 38, has been in the spotlight for 20 years since he made his appearance as an incredibly talented prodigy. Ask Rose, if golf has suddenly begun to look a lot easier than it is, and he immediately shoots back, "No." Rose, who now knows how sweet success is, also knows bitter taste of failure. Born in Johannesburg, South Africa, he moved to England when he was five. By 15 in 1995 he had won the English Under-16 and then the English Under-18 stroke play event and followed it up with the St. Andrews Trophy in 1997 and the Peter McEvoy Trophy in 1998. As a teenager he was singled out as the 'Boy, who would be King'. So as a 17-year-old, when he hit the headlines at the 1998 Open Championships at Birkdale by holing a dramatic shot from the rough at the 72nd to finish in a tie for fourth, all that seemed to be come true. But life and golf had something else in store for him — extreme disappointment in the form of missed cuts in his first 21 events as a pro through 1998 and 1999. 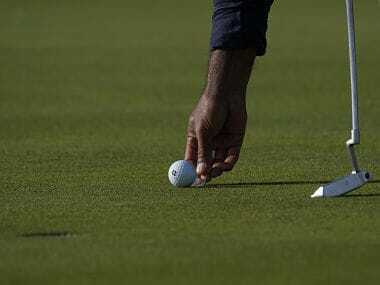 However, at the end of 1999 he earned his first European Tour card when he finished fourth. Again after missing more than half the cuts in his 30 starts in 2000, he had to go back to the Qualifying school, where he finished ninth to get his card back. It was only in 2001 that he began to slowly establish himself. Two successive second placed in South Africa saw his career turnaround as he made 24 cuts in 29 starts that year in 2001. The following year was when Rose started to show signs of breaking out as he won four times, twice in Africa, once in Japan and once in UK and he had 18 Top-10s including four wins in 30 starts. Currently he is on a journey which has seen him log 23 Top-10s in 30 starts. He has certainly come a long way from missing the cut in his first 21 starts two decades ago. No, the game has not become any easier. He said, "No. Even if it was (easy), I would never admit to that. Clearly I've been burned by this game many a time and you have to keep working hard. I'm trying not to get too far ahead of myself, wake up tomorrow and go from there. Every day just try to build a new body of work and keep grinding." Further queried on what meant to him more? The Major, the Olympic gold or being World No. 1? Which of the three would surprise his father, an influential figure in his career? Candid and friendly as usual, he says, "Yeah, spoilt for choice there to be honest with you. I know he went to the Olympics in L.A. in 1980 (it was 1984), whenever that one was, so maybe that would be a surprise to him. I think he had a lot of belief in me, and maybe he knew I would win majors and maybe he even knew I would get to No. 1. He was my biggest fan and had more belief in me than me, but the Olympics would be the surprise for him." Golf made a return to the Olympic Games in 2016 at Rio, after a gap of more than 100 years and Rose finished ahead of Henri Stenson and Matt Kuchar to take the gold. That earned him an MBE, too, and it also made him part of the group of golfers, who had won official golf tournaments on all six continents where golf is played. The others are Gary Player, David Graham, Hale Irwin and Bernhard Langer. He has won on six continents, but Turkey could well be his favourite place. When big-time golf first came to Turkey, he won an eight-man event in 2012, a year before the event joined the European Tour. He , beating Tiger Woods in semis and Lee Westwood in the final and last year won the Turkish Airlines Open, which he is defending this week. With the kind of consistency he has shown and the kind of a track record he has here - 50-under for 10 rounds till the finish of the second round in the current event, there is something he loves about Turkey. He laughed and said, "Sort of fair weather golfer. Playing in the sunshine I guess. I have a good time here. I think the vibe with the resorts that we stay in, I said it earlier this week, I feel like it's a lovely balance of obviously being a big event at the end of the year where there's a lot riding on it, a Rolex Series Event and Race to Dubai and World Ranking points." He added, "There's enough to capture your attention and to keep you fresh and hungry, but off the golf course there's enough to do here where you can almost recharge. I said to Fooch just in terms of overall kind of load on the system, it's like playing half a tournament week this week. I felt like you get to recover a bit easier off the course than most events." So, if Rose wins Sunday and gets all that goes with it - World No. 1, a successful title defence and ever improving record in this country, it might seem that it comes easy to Rose. The fact of the matter is that even Rose is now in full bloom, it was never easy along the way.